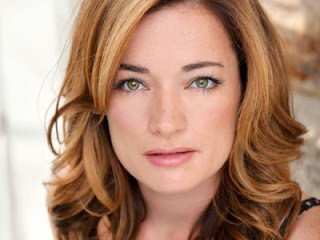 West End and Broadway star Laura Michelle Kelly is returning to London to perform a one off solo concert at Cadogan Hall at 6:30 pm on Sunday 24 February 2019. Kelly won the 2005 Olivier Award for Best Actress in a Musical for playing Mary Poppins in the West End. She spent a year and a half in New York playing Sylvia Llewelyn Davies in the Broadway production of Finding Neverland, starring opposite Matthew Morrison and Kelsey Grammer. Laura most recently completed her run as Anna Leonowens in the national tour of The King and I. Her other Broadway/New York credits include the Encores! production of Me And My Girl, reprising her role in Mary Poppins and the 2004 revival of Fiddler on the Roof. West End credits include: My Fair Lady (Eliza), Speed The Plow (Karen), Lord of the Rings: The Musical (Galadriel), Beauty and the Beast (Belle), Whistle Down the Wind (Swallow), Peter Pan (Wendy), Les Miserables (Eponine), Mamma Mia! (Sophie). Regional: The King and I (Anna) and South Pacific (Nellie). On screen Laura has appeared in the Tim Burton movie Sweeney Todd as Lucy/Beggar Woman and in Goddess (2012 Cannes Film Festival); Laura’s album The Storm Inside was released in 2006 and she has taken part in numerous radio, TV, concert appearances including the Royal Albert Hall, Hampton Court Palace, Royal Opera House, Millennium Stadium, Buckingham Palace and performed for President Obama for the 4th of July celebration and for the nation’s televised event Broadway at the White House. She is also the recipient of the Voice of Musical Theatre Award. She said: "Coming back to London to sing in my own show is a big deal for me. I've already invited a few special guests to join me from some of the shows I've been a part of in the West End and I'm beyond excited to be performing with old friends. We are going to make it such a fun night!" The concert,is produced by Club 11 London and Take Two Theatricals.